Firstly, it was immensely sensible of you to come out strong and firm on you daughter's behalf. I cannot stop wondering at the emotions displayed by the junta regarding the show and its contestants ... and yes at the end of the day , no matter what competition it is , they are just kids. I won't say it is "just" a competition...but it is a pitting of young talents...and eventually there is going to be just one. We all have our favorites all along...and not all our favorites are going to win. It is of immense importance not to take names and personally attack the credibility of all the people involved...judges,anchor and the contestants themselves. As always it is the Show that is the winner...controversy or controversy! I am yet to watch the last episode of this weeks airtel super singer as I am in US and still nothing has come online.I just heard there were no eliminations. Reading this post, I dont think so i ever thought Chinmayi is biased. Chinmayi is as good as a nice friend to everyone in the show . Nor chinmayi can influence any decisions. If chinmay is really biased, she doesnt have to really publish any of our comments related to raginshri , be it good or bad. I guess she is fair enough. Who ever posted that anonymous letter, leave our chinamayi..I dont think she is anyways related to anything..Its all just channel and judges , producers etc. Amidst the rollercoaster the world economy is going through, It's unimaginable anyone can develop a jealousy towards someone who is only trying to compete like anyone of us are in our own respective fields. Accusations hurled at such young could be harshly demoralising. After all she is in no way eating up anyone's money, you don't like her skip. That's what I do for one or two of the contestants. Every singer has something in them that a genius can pick up. Look at Sresh Peters, Harini for ex. That said, I feel Ragini has the most unique voice. Wasn;t Raghini the winner on the Legend SPB's show? Certainly a genius saw something in her. She is emotionally labile which one may mistake. Ragini being emotional is akin to the Terreor trio's incessant eplosions on the show, take it all part of the entertainment. Firstly, let me complement you for having an excellent show. I'm very impressed by the topics you discuss everyday. But the worst part was that I found from the official thiruvallur website http://www.tiruvallur.tn.nic.in/ that this service was launched last year (yes 2007) and they have posted the press clippings for the same on the website (http://www.tiruvallur.tn.nic.in/images/smsnews.pdf). I dont know why it was relaunched it once again, but calling it first of its kind is a disgrace. Its such a shame that newspapers printed this without verification and it has crept into your show as well. I apologize for posting on your blog, but I hope this message reaches you. Hopefully I will have a better luck to catch you on air next time. Why don't u share your experiences with SS Kumaran for "Avaram poo" soundtrack?- an awesome melody. Definitely I noticed your enjoyment in singing that! derz so much goin on bout tis gal.. huh!? but i'm on RS' side! shez cute. n does some amount of justice to the songs which she takes up too. however, no doubts. everybody @ home r a big time fan of ravi. Very well said and just wish to say let the best man/women win and Chinmayi will surely do her rocking job sincerely. God Bless. To my knowledge you are doing your work (anchoring) more efficiently. Those who want to comment just to criticize others work will do their work perfectly. But your post regarding this issue is neccesary to tell others that eliminations in Airtel Super Singer is confined only with the judjes . There is nothing behind you and the eliminations. I dont know how your getting new topics everyday to discuss in FM. But it is all interesting topics. its ur "raginis fans club"
First time comment here. Well said Aunty. Chinmayee is doing her role fantabulously well. Just ignore these anonymous' letters. As you know, for anything and everything, there would be set of ppl to complain/suspect. Just ignore and keep going, Chinmayee! You rock!! Dear Maa'm, you are a great person in everyway. I am not older or matured enough compared to you but I want to leave some words. Please forgive me in advance if I am going to be wrong. Ragini's peformance was well below the mark and no one can deny that including Sriniji. And no one did. But every contestent has the same rules and regulations and all should have the same level of preference. If Ms Ragini could be given a couple of excuses, why not others? And indeed yes, that there is only one person who is going to take the winner banner, but it should not be someone who doesn't deserve to be. Yes, people do make mistakes and they can be forgiven. Once not bad. But continous forgivness will make them less motivated. Also, as you mentioned, there should be eliminations to correctly pick out the best among a group but the filtering process should not be faulty or in favours. That will also bring psychological effects to those who were eliminated because of some minor mistake whereas contestents like Ms Ragini was given more than one chance to continue. The teers can't be taken into account all the time. I am aware fo the fact that the honourable Judges are chosen to be seated there because they have been given the rights of chooding and eliminating. But only based on the skills and performance and not on any personal likes and dislikes. Again, I am very sorry if I was too harsh. And I am sorry if I have taken too much of advantage to write this in your daughter's personal blog. I wish all the contestents best of luck and the Airtel SuperSinger team for more successes beyond controversies. It's indeed pathetic how the public right royally forms opinions at the drop of a hat, not knowing there's much that goes on beyond what's shown on screen. Nice of you to come out with this post aunty. Elsewhere there are people wasting words reviling contestants. I would only suggest they do it with their original identities and not anonymously, if at all there needs to be an opinion stated. wow ! that sounds very strong ! " Its all in the game "
well, i have a different "do not like" part, but that is in between the program. BREAKS. a lot of +ve energy. Good luck. To anonymous not published here: Of course I am open to it. Though its strange that those who do want to comment sometimes dont have the guts to come out the veil of anonymity. But as they say, to each his own. I dont think anyone has the right to judge people on how they should be, or what is appalling. Its apparently his personal view. Which this person is welcome to. The said emotional state does not concern them, the description of which is weird, because I think its not going to affect them in their daily lives. So is necessary to "put a finger on it:? Good that this person did not choose psychology to major in. Not sure how well they would have done. Small correction. nendhukitten was sung By Karthi and Chitra Iyer. Also what is described as fuzzy is actually a technical term. FYI. My humble suggestion to consider (the TV channel people)…. First try to avoid telecasting the emotions, crying of participants…. As it would pass the negative message among contestants…. Like - Just to feel ashamed in the assembly…. Or this is the way they hav to react after eliminated or to escape from the under performance of them…. Participation is more important than winning…. And above all …Competition / Prize money / Judges / Anchor / Participants / Performances / Parents / Well wishers / Audience …. Thanks for your post, nicely drafted. We all know that you as an achor doing yr job failry well. But as a TV viewer, I watch this programme only for Raaginisri. There is no shame or shy or ego, to me to say this. As an IIM A alumini & CA, I am proud to say that I am a fan of Raginisri. I whole heartedy endorse Raahinisri's fan views. All the very best for Raahinisri. Guess I missed a lot in the last few weeks. But, what Padmasani mam has said is thoroughly accepted. It is very clear that Words, Emotions and Physiology have a lot of power. What our Words / Emotions can do to others is one. What those can do to us is another. Therefore, for one reason or the other, if one can practice being positive in all circumstances and less critical in the way we usually do, it actually does good to one's composition. This is just a thought and I'm gonna choose to practice it. Absolutely aunty. Most of the people thinks that chinmayi is the part of the judgement. No one understands that she is doing her good work as an anchor. First of all let us make them clear about Chinmayi's role in Airtel Super Singer. After reading your blog, many people will change their way. God bless Chinmayi. We are here to encourage you. What ever the reasons provided in favour of Raginisri - the fact is she is doesn't deserve to be there in the show. She has never been good in her performances starting from the round which involved Sriram and Malgudi Suba and she is being unfairly favoured and it's gone much beyond acceptable levels. When a bad performance is ranked above a good performance and that good performer gets eliminated - then what would be the psychological impact of the eliminated contestants. People who are concern about the psychological effects of Ragini should also think of others. I agree it is unfair to get personal with Ragini for the mistakes made by the judges (read: Srinivas) but it is normal for the viewers to wonder why it is happening only with Raagini. And I am sure this kind of favoured decisions, would also lead to negative effects on people who are still in the contest and eventually de motivate them thereby affecting the program quality badly. i dont think why we people are so obsessed with western culture. The contestants had much breathing trouble to sing and dance. ''sing along and dance''thing only can suit western type songs.you will obviously know it when you see ''american idol'' show. I just saw the show...Dunno what is going on at all in airtel super singer and Raagini..I dint know that a perosn with soooooooo much cracks on everyday could get comments like " voice is strained, next time, next time......." everyday... Too many chances.. Am really losing the interest to watch the show. Still nothing against Chinamayii..
i guess, all this would be your own impromptu right? ?i dont think, so if these wil be taught right?? GR and people with similar impressions: We all..... including myself have our observations and reservations. The positive and negative responses go by a majority of viewers and observations of knowledgeable and experienced persons. But still none of us are authorised to eliminate or allow the contestants to stay. It is the role of the judges. Believe me it is a job which brings brick bats and not bouquets. Explorer: I did receive your mails and comments. Basically I was tired of people who would'nt even put a name (However fictitious it may be) for signing up but asking for all informations from my research of several decades. Very soon I shall reactivate a forum called SAMVAAD which will have authorised members and you shall be entitled for all the information and knowledge that I can possibly share. I go with you. We must not hurt that girl. I myself am a fan of Ragini Sri. This is Jonathan nowadays people are sticking into TV especially the program in Vijay TV "Airtel Super singer" even the couple of seasons gone the magic and eccentric is still on and on. The reason is the same group of singers legends are running the show. Especially regards to Chinmayi she is doing excellent job, in that age having criticisms, giving perfect replies to the comments, was not possible. Even politicians can't give the replies like this. However, was anchoring the show, why I am upset is because of critics against her. She was young, talented and dynamic but she too got feelings on contestants. If anybody eliminated for the people's sake it was not her problem, she may opt out the feelings. But, she realises every child must be in Sub-lime form. That is true, with heartly saying she is super-human by controlling her feelings. Hatsoff to being a good human-being. I know how much it hurts if people tend to criticize at a personal level after doing all the sincere , hard work. Take the case of Indian Cricket, Dhoni is an inspiration for all youngsters today and undoubtedly the most admired cricketer of today's India because he has played a key role in placing our country on top few rankings, and no one doubts in another one year, he will succeed in putting us at the top of the list. While 90% of the nation stands for him there are 10% of people who will always want to criticize him for some reasons. If Dhoni is for India Cricket, Chinmayee, you are for Super Singer!! Yes, You are a Super star of Super Singer! So don't get worried by 10% of negative critics. Don't take these too deeply into your heart ,instead You should pass these comments, and focus on continuing the excellent work that you have been doing in Super Singer. Boring to watch Airtel Super Singer without you. We couldn't see you in Airtel Super Singer Kuthu Round? Is that you dropped on your own becos of these comments. Please come back, we miss you already. hello, we didnt see u for yday's supersinger? Is that because your November Fest schedule/prepareation conflict or something else? COME BACK!!! It might just be me, but you are far talented and experienced than few of the judges themselves. When are you going to start judging people?? Love it when you sing the "Maiyaa Maiyaa" song from Guru.. Since I am in USA, we see vijay tv programs slightly behind the India schedule, but thoroughly enjoy it. Please do sing sometime in the show. My wife is also a great fan!! Once again sorry for posting on your blog reg your Radio show. I wish there was a better way to contact you (email?). A couple of days ago you had talked about a Tata Sumo falling into a pit near the Kathipara Cloverleaf. Anyways, I was very heartened to see that the Chennai Police have barricaded all sides of pit after it was reported in the newspaper and on your show. Here is the article. Take heart that you were responsible for a visible change in chennai and keep continuing your good work. all of the above apart... The show looks so empty without you as the host. simply not upto it!! I used to watch it more because of your presence as it added colours to the show. Where are u? wt hapnd? Raginishri might be a good singer but all those comments against Raginishri's singing was actually the honest opinion of those people and I too fall on their side. When people accept favoritism, they should also accept criticism as well. IMHO, It's basically not against Raginishri but the judgement given to her singing in those particular episodes. If it's a rule, it's for everyone. If she is aware of all these criticisms, I hope she takes it as a challenge and come back with flying colors. First of all i need to thank Chinmayee and Vijay TV. Regarding the hatred and negative comments towards raghinishri it does not only show in this forum but lot in the net who follow the show. Hope judges understand and deliver judgement based on good singing. Airtel supersinger became void without your presence. This week show was very poor. Are they going to select supersinger or to just stretch because of your absence? I dont understand padmasini amma how these anonymous jobless fellows could search and connect raganishri with chinmayi, i am very much astonished to c those people . I think the entire decision depends on the judges and take for instance even if chinmayi's frd or relation had participate in this show , i don't think so she had to do anything with that. Anonymous u should know that these people r chosen among thousands of people who had participated in Airtel super singer. all r talented and its up to the judges to choose whether someone is IN r Out. i think from our point of view we feel its biased but in their position they might think she s talented as she had performed some good performance in the past and even in the duet round with ravi they were unbeaten and please dont tel that its only bcos of ravi they were unbeaten, the judges commented that this is what they expect from the competitors, so the judges might have felt that she might do better as she had proved in her previous performance. So its wrong to hurt and connect this matter with chinmayi. We missed you in this week airtel super singer..You are doing great in tat show..Keep rocking! I also agree with Raji. I agree that we shouldn't demotivate the contestants with bitter criticisms, but so far our feedback about Ragini Sri has been honest and valid. Contestants won't improve if they only receive compliments, so it's the public's duty to point out the contestants' flaws or weakspots in singing so that they can improve. If so many of us have negative feedback for Ragini Sri, then isn't there some validity for our reasoning? Even laymen can understand when someone goes off sruthi, off thalam, etc, so I think that we should continue giving our constructive criticisms about Ragini Sri, because that carries much more value than praise. I know u have crossed so many hurdles to come to this stage and spent several years in singing. Just now googling and i got this blog today... so happy. Googled and came to this blog to figure out why Chinmayi is not in the KUTHU ROUND of SS08. But no news??!! Watching from overseas and promos for the round are on with a new pair of anchors (Watching them make a mockery of sorts in ISAI KUDUMBAM my heart bleeds for SSO8 and I know I am not alone! )I hope Chinmayi's absence is temporary. Of course one might say she is not indispensable but the fact remains she is an integral core and soul of the program. Anxiety about her absence is a typical human reaction. What happens when you watch a good program on TV which makes you happy and sub-consciously you become closer to the people and the program. Hope and pray this tamasha is not what it seems. Chinmayi - you are a natural at what you are doing. The program needs you. We, the viewers, truly wish the same too. Please come back to SS 08. i dint like to watch SS without ur presence. Despite of all happenings, pls make ur presence in SS again. A million euro question would be answered today? i do agree with u , its disheartening that all the comments rose against raagini had affected her performance .let us encourage her , atlast as chinmayi said all should be eliminated expect the title winner . Yes. Karthik, I agree with you. Aftereffect is still there. We expect our Dragon should be like 'a bolt from the blue'! You are too good and Chinmayi is humble.Ragini has crack in her voice thats the fact. Rohit is much better today.Aruna ofcourse not good.Can we give another chance for Rohit?Nobody hates her but she is criticised as she is in Airtel Super Singer.Her attitude...we can't digest.But you are there to speak for her. We too are human being.We are there to support the deserved one.There is no personal hatred towards Ragini.God should be by the side of Ravi and Renu too.May be she would have won a title,now many are with lots of talent.I am one of the well wisher of Vijay TV.I love this show. 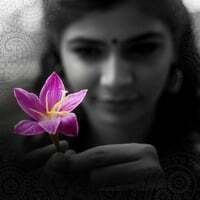 But hate to see when there is partiality.paavam other contetants.We still love Chinmayi her extraordinary talent.Take care. People who support Ragini - Here is what you need to think through. The hatred towards Ragini is a misconception. The injustice done to other participants is making people to transfer it as hatred towards her. If she deserves a second chance, everyone eliminated has a second chance. The primary reason given by judges is that the eliminated contestants did not perform on that day. That should hold good for Ragini without comprimise. she messed it big time in the entertaintment round. I mean "BIG TIME". would like 2 ask a humble question..
after watchin Deepshika gettin eliminated..
do u ppl really think Ragini deserved a second chance???????? It was only today that i read all the comments about ragini on vijay website.NOW I CAN UNDERSTAND WHY THAT GIRL IS STRESSED ALL THE TIME WHILE SINGING.definitely if she has read even 10% of those comments she'd be upset.ppl shud cool off on her.ppl shud stop complainin abt the partiality towards her in choosing her for the next round.THEY MUST FIRST ASK THEMSELVES Y THEY R SO PARTIAL IN CRITICISING ONLY THIS ONE PERSON.how can e girl sing well when she knows in her mind that there r ppl out there wanting to throw tomatoes at her. It was really sad when Raginisri started to sing your brillant song "mayya mayya". We witnessed your emotion (pain) when she could not make it upto the mark. Do you really think "Is it justifiable to eliminate Deepshikha on the basis of tie-breaker"? Is it a football game? I understand that this program is bringing out the talent of singers, not to pressurize them to break themselves. Judges should understand this. I watched you in Amrita Tv's supersinger junior2 as a celebrity judge. You might have experienced the quality of your co-judges (Jeyachandran and Vijay Jesudoss). You deserved to be a judge. We have confidence in you that you will not make partial and biased decisions. Please become a judge in Airtel supersinger. It needs you. It is the need of the hour. I believe that your fans all over the world are eagerly expecting the greatest moment. My wife and I faithfully watch this show everyday. It is such fun viewing. I really want to thank you (and the producers) for making this so much fun to watch. Each round has new innovations. At the time of writing this, two days of the piano round are over, and the results are awaited tomorrow. Aruna, Rohit and Arvind are in the DANGER ZONE ! The show is so interesting to watch and musically, very elevating. Chinmayi is a fabulous anchor. On this Raginisri controversy, I think that each of the contestants still in the fray are absolutely fantastic.Of course, everyone is entitled to opinions, and only one person will be the SUPER SINGER. But I think each of the contestants has their strengths and so does Raginisri. One very nice thing about both Raginisri and Santhosh is that they really enjoy their competitors' performances. This shows a lot of character. Therefore, I just want to sum up by saying that even if a few people are harsh on Raginisri, we should remember that every contestant would have similar "Hate Clubs", as they have Fan Clubs ! I'll be watching every minute of the show, right until the end !! Hi Chinmayi! It's funny how people start criticizing others when they come to public and become famous and sometimes it gets pathetic. In fact I am a great fan of Ragini (my personal view) right from when she sang 'Thesulaavudhe' in another Singing Contest. Ragini, if you're reading this, know that you have a fan here. Based on the decisions so far on the show it does make one feel that there seems to be partiality towards Ragini. I don't think it is hatred, atleast not from us (me & my wife). It is kind of sad to see good talents like Deepshika and Madhumitha getting eliminated but Ragini continues to advance to next rounds even when her performance wasn't upto to the mark compared to those getting eliminated.